I’ve been enjoying taking photos at night and at the blue hour, using my Olympus camera, a tripod, and a long exposure. The time of day (9:10 p.m.) was the crucial element in this shot, because at this time of year, at my latitude, there’s still enough ambient light to take a four-second exposure that reveals some details in the landscape. 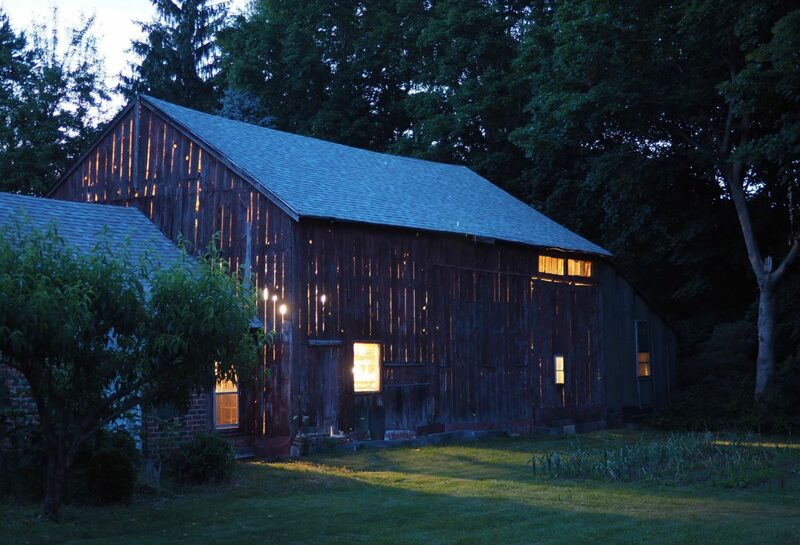 Moreover, with the sun already sunk below the horizon, the sky’s light is predominantly blue in hue, which makes a nice cool counterpoint for the warmer LED light that spills out from my barn through windows and cracks between the boards, illuminating swaths of grass and garden.